This is the tea of the month. This apple flavored cinnamon black tea is the perfect tea to serve in your Halloween Party. 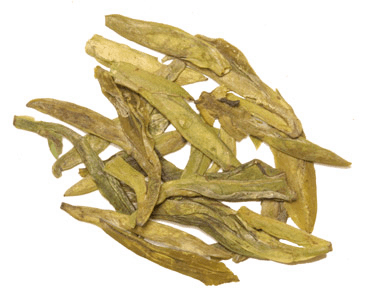 Shop now to get 6% off discount on this tea. 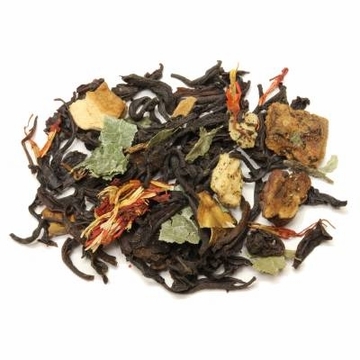 This tea is made from top grade orange pekoe Ceylon with natural apple and cinnamon flavoring. The Ceylon tea is grown at the altitude of 7000 feet above sea level from the Sri Lanka region. 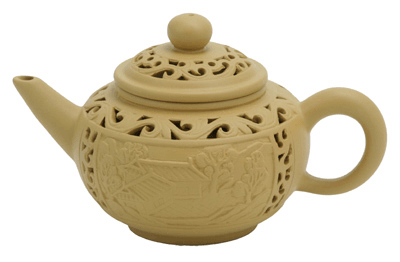 When brewed this tea produces a bright coppery color liquid with a fruity spicy flavor and with touches of mild astringency. A fantastic fruit tea. Free shipping with purchase over $60. I like this tea in the morning. It has a good flavor. Nice. This tea has become a favorite of mine during breakfast. It's basically a black tea, with a subtle apple cider-like taste to it. It isn't overbearing like similar products you might get from a certain grocery store brand I'm thinking of. This is one of my favorites, it has a very refreshing taste. The tea is good, but the flavors are a little flat and weak for my tastes; I was hoping for something a little more strongly flavored and more 'seasonal'. Also, if steeped a full 5 minutes, this tea seems a little bitter unless cut with sugar and milk, so I only steeped it about 3 1/2 to 4 minutes max. The price was great, service and shipping is excellent with Enjoying Tea, but this particular tea is very average in my opinion. Love this tea alone or mix with your orange tea. Enjoying this tea, nice flavor . I got this tea as a sample during Christmas time last year, and although I didn't think much of it initially it grew on me overtime. The reason I decided to buy more is my husband, who generally doesn't drink much tea, and absolutely loves it. It has a delicate and interesting aroma and I love to have a cup in the evenings, or on rainy days. I bought this as a present for my neighbor and she really enjoys it. It has a lovely aroma, and it can be enjoyed with milk and sugar or without. Appearance: leaves are smaller, black, tightly wound when dry, and approximately 0.25 inch (average) when steeped, broken. The mixture includes apple pieces and other colorful additions, and is actually quite nice to look at. liquor: redder than most straight blacks. Smell: very apple-y. I really like this smell. I brewed some at work and a coworker commented on how good it smelled. 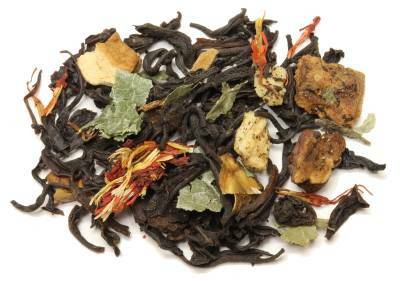 Taste: soft black tea with distinct apple flavors. It becomes more tart as it cools. It has less astringency than many black teas. I like this without sugar. Sugar is okay, but unnecessary. Im not usually a fan of flavored teas, but in the right mood, this is great. 8/10. It's a great flavor overall, and has some natural sweetness to it. It's almost like a honey sweetness. I actually wasn't very fond of it until I had my second cup--it grew on me quickly.